Strong thunderstorm are passing over the region, bringing the potential for strong winds and hail. A severe thunderstorm watch has been issued for Bergen, Essex, Hudson, and Union counties in New Jersey and in Orange and Rockland counties in New York. 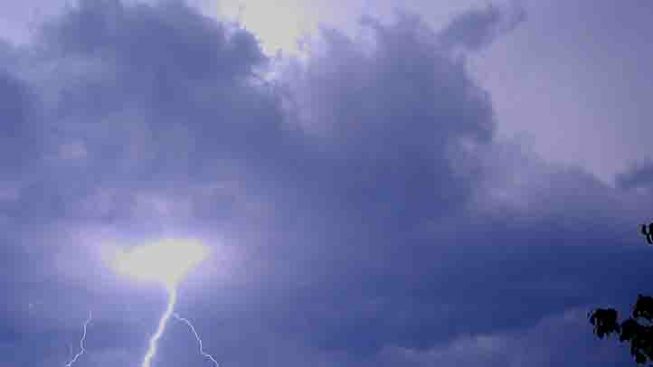 Earlier Tuesday, the National Weather Service had issued severe thunderstorm warnings for Mercer, southern Middlesex and Monmouth counties in New Jersey that were in effect until 3:15 p.m. While Tuesday night's weather has the potential to be nasty, Wednesday will be mostly rain free with temperatures well into the 80s and a chance for a shower or thunderstorm from late afternoon into the early evening as a cold front swings through the Northeast. Later in the week, a Canadian air mass will bring back some comfortable weather with low humidity and highs in the low 80s with nighttime lows in the low to mid 60s.